One can see the pleasure he had in designing these pieces. Felix, more than any other local goldsmith that I am familiar with, was able to create an intimacy between his jewellery and the person that wears it. This is especially evident with the detailed attention given to the inside of his rings. It is like a little secret that is only really enjoyed and appreciated by the person who wears it. See an earlier posting for examples of this intimacy. Twentieth century contextual issues that contributed to the beneficiation of precious metals in South Africa. This paper comprises a review of a number of situational factors that contributed to the development of gold- and silver smithing over the course of the twentieth century. Through literature searches, interviews, e-mail exchanges and internet searches, summaries with relevant information are composed. Finally, the possible emergence of a South African design domain during this time is commented on. The ability to make a good piece of jewellery is an art form – a highly skilled task which is… …learnt on the job – at the bench and there is no substitute for experience. During the eighteenth and nineteenth centuries only a slow trickle of local jewellery was produced from within South Africa. Emphasis was placed on silver hollowware and flatware, rather than creative expressions of jewellery. 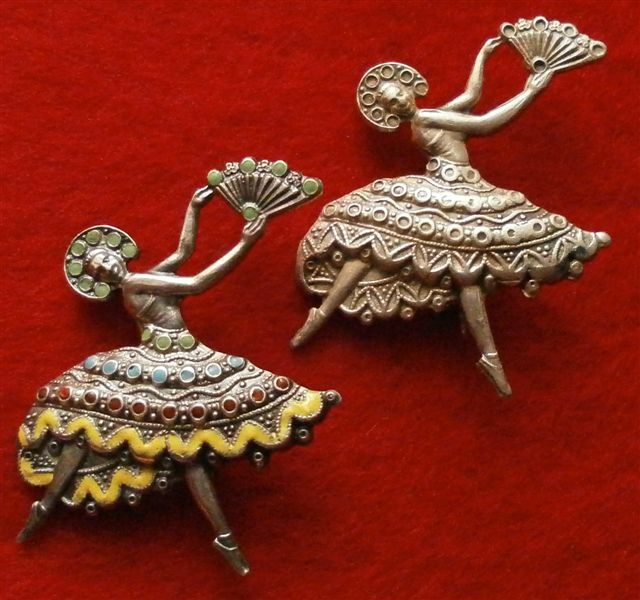 Where jewellery was produced, such as buckles, buttons, bracelets and brooches, it was strongly based on European styles with little (if any) effort made to reflect an African idiom within the designs or decorations. While local interest in jewellery making was stimulated by the discovery of diamonds and gold in the late nineteenth century, artist-jewellers remained mostly unknown until the early to mid-twentieth century with the emergence of offerings by goldsmiths such as Anthony Sidersky, Jack Friedman, Felix Vetter and Kurt Jobst. From the mid-twentieth century, local jewellery-making programmes were introduced in South Africa both privately and at tertiary institutions of education. 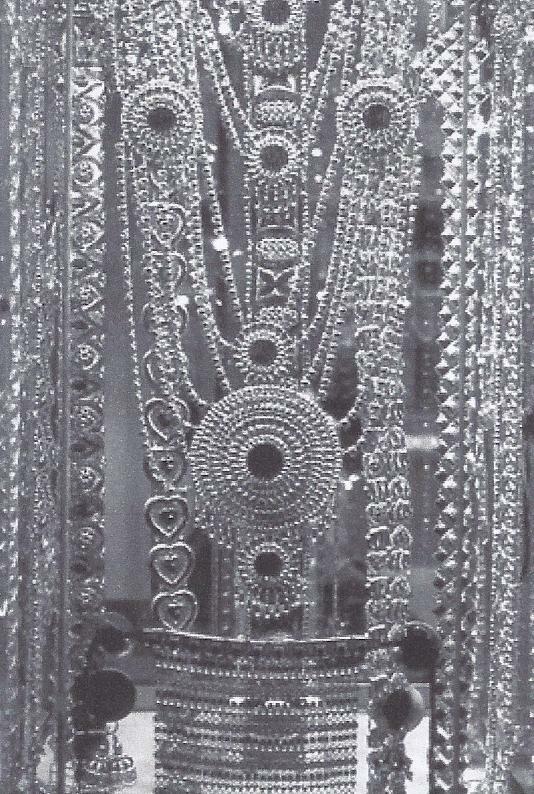 The implementation and development of these training programmes contributed to an increased output of locally made jewellery pieces, as well as the emergence of more abstract jewellery designs in which the mixing of different metals and materials, such as semi-precious stones, and organic materials, such as bone, wood, ivory, animal claws and hair, were introduced. Early proponents of this renewal were Else Wongtschowski, Joe Calafato and the Haglund workshop. It was this generation of precious metal artists that also began to express indigenous geological, wildlife and cultural inspirations in their designs. As time went by, these organic expressions of the 1950s to the early 1970s changed, with cleaner and modernised lines being used (perhaps also following the dominant Scandinavian trend in international precious metal design where the emphasis was placed on simple stylised lines). Figure 2: Design development in the work of Joe Calafato. The top row reflects work that was done in the early 1950s whereas the bottom row represents designs that stem from the 1970s. A review of pertinent literature on factors that contributed to the conditions under which precious metal jewellery making took place was compiled in order to describe aspects of the contexts in which silver- and goldsmiths were operating in the early to late twentieth century. The review included publications in academic journals, books and suitable magazines such as the South African Panorama, Lantern, Artlook Magazine, The S.A. Jeweller and the Diamond News, The Diamond News and S.A. Watchmaker and Jeweller as well as internet searches. Gold- and silversmiths whose work was covered in an earlier series of articles were also requested to comment on the organisational climate and changes that took place during the time under review. 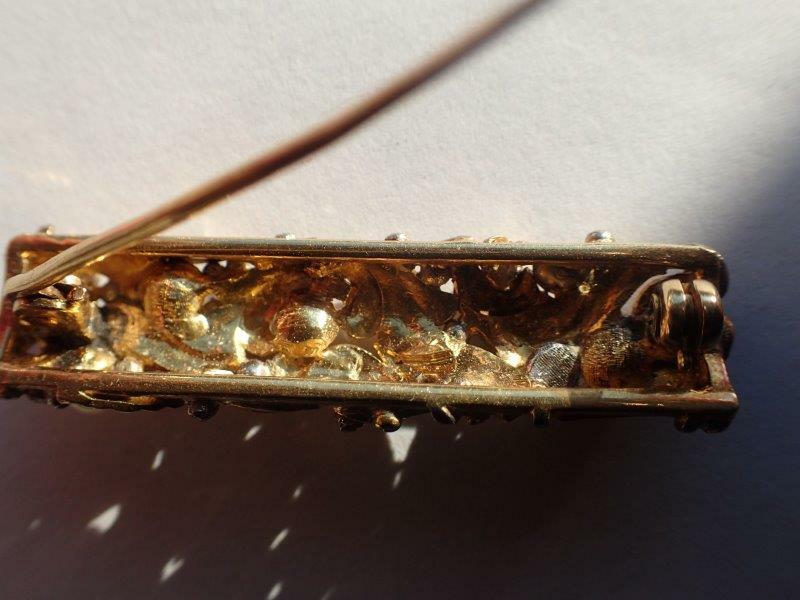 In cases where the gold- and silversmiths have passed away, efforts were made to contact their families or co-workers such as engravers, enamellists and die sinkers to supplement and corroborate existing information. The interviews and all pertinent e-mail exchanges were content analysed and referenced against the available literature. An initial draft was submitted to a few experienced practitioners for review. Where warranted, the text was adapted. Some contextual issues shaping the character of a South African gold- and silversmith tradition in the twentieth century. At the turn of the century, the aftermath of the South African (Anglo Boer) War set the scene for economic hardship for the average South African during most of the first half of the twentieth century. The First World War, the economic depression of the 1930s and the Second World War added to the challenges of a divided and developing country. The country’s fortunes changed after the Second World War, and it began to experience sustained economic growth like never before – mostly because of increasingly extensive mining of diamonds and precious metals. The growing South African economy required skilled workers, and (partly through government incentives) these were attracted from a Europe still trying to recover from the devastation of the spoils of war. Gold- and silversmiths from the Baltic countries, northern Europe and even a few from Scandinavia settled in their numbers in South Africa during the 1950s onwards. Along with the metamorphosis from a struggling and mostly pastoral economy during the first part of the twentieth century into a diversifying and growing economy during the latter, a changing South African patriotism arose throughout the century, incarnating from British dominance into Afrikaner nationalism and finally into an inclusive South African democracy. This has set the political and socio-economic contexts in which goldsmiths involved in the local beneficiation of precious metals found its expression and changing identity. 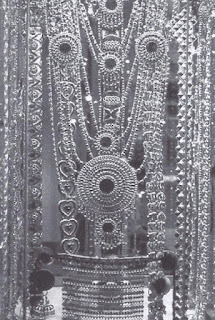 The introduction of jewellery counters in department stores during the 1960s not only challenged the existence of small individually owned retail stores, but through lower priced imports it also impacted the local producers of jewellery. During the 1970s and 1980s little growth took place in the local industry in terms of quantity. Since exporting on any significant scale was blocked through international sanctions, only small amounts of South African designed and manufactured jewellery reached the international market. In addition, the gold price increased exponentially in 1979 and continued to soar in South African rand terms over the next two decades. This placed increasing strain on the making and marketing of local jewellery. Businesses went insolvent, resulting in an additional impact on the local market. Much of the formal training that took place at the time did not include the acquisition of sufficient business skills to establish and develop a business. Owing to the nature of the educational system and the industry, many small businesses were established which all competed for a piece of a small cake. During the 1990s a noticeable increase in break-ins and attacks on goldsmiths occurred. The added security measures and additional expenses in building up new stock had a negative effect on growth in the industry. Nevertheless, the last decades of the twentieth century brought the promise of a local renaissance in the creation of precious metal art. At the end of the twentieth century an inclusive multicultural South African designer generation was introduced to the local market. The promise of a diversified definition of South African jewellery design came to the fore – a diversification that began to absorb and express varied cultural inspirations and backgrounds, within the parameters of a South African consciousness. However, because of competitive pricing and increased exposure to international markets, a great deal of manufactured jewellery for the mass market imported from China, especially, has resulted in a local market that is still housing only a small mass-manufacturing component. In the midst of the Second World War (March 1942) the South African Jewellers’ Association Ltd came to life in Johannesburg. Within fifteen years it had successfully established branches countrywide (Border, Port Elizabeth, Durban, East London, Cape Town, Pretoria, Johannesburg and Kimberley, with provincial branches in the Transvaal, the Free State, Natal and the Western Province). The Johannesburg branch was the most differentiated of all the structures and comprised three sections that represented the concerns of wholesale jewellers and manufacturers, with separate representation for retail jewellers and manufacturing jewellers. In 1955 the Cape Jewellery Manufacturing Association was formed and seceded from the South African Jewellery Manufacturers’ Association but remained affiliated with the mother body, the South African Jewellers’ Association. The main reason for seceding was that decisions by the South African Jewellers’ Association tended to ignore their interests. For the rest of the twentieth century the Cape Jewellery Manufacturers’ Association kept functioning as a separate interest group until it amalgamated with the Jewellery Council of South Africa in 2012 because of poor membership rates. Apart from the initial Transvaal Jewellery Manufacturers’ Association (under the umbrella of the S.A. Jewellery Association) and the Cape Jewellery Manufacturers’ Association, the creation of precious metal artefacts (be they jewellery, flat- or hollowware) in South Africa was regulated by the Industrial Council for the Jewellery and Precious Metal Industry. It was constituted under the Industrial Council Act in November 1945. Together, they defined four main sections of creative precious metal artisanship – designing, making, setting and polishing – and laid down an ethical code along with training and production requirements. No specialisation took place and apprentices had to be competent in all categories of the trade. … imitation jewellery and rolled gold, enamel or gilt jewellery; precious stones and pearls and imitations thereof, cut or polished and whether mounted or unmounted; completed portions or parts of any article of jewellery, imitation or otherwise; bangles, necklaces, girdles, muff chains, clasps and similar articles of adornment. The relaxation of duty tariffs also meant that local gold- and silversmiths faced increased competition from other countries and from the South African Mint. In 1956 the Association successfully petitioned the government to restrict open market related activities by the South African Mint. An issue that caught the attention of the Association already in the 1950s was how to tap into a growing African market. 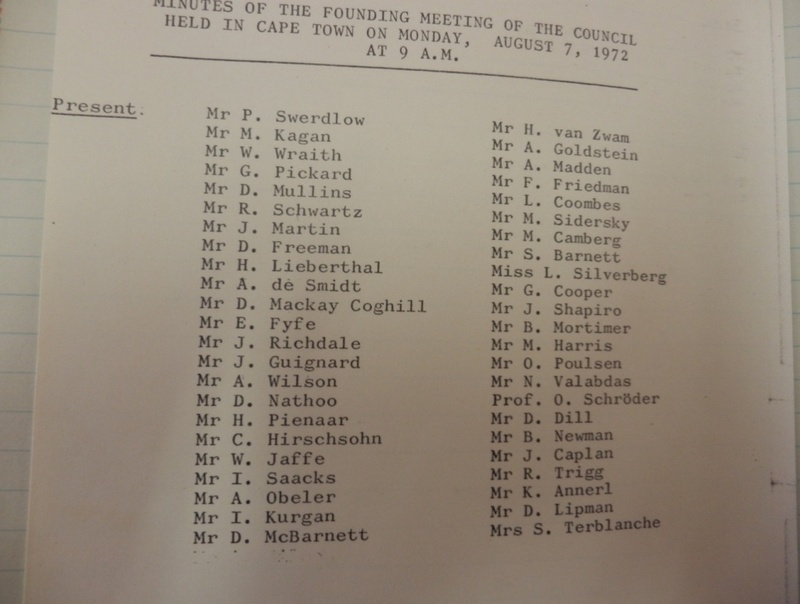 In 1972 a new umbrella body named the Jewellery Council of South Africa was constituted. 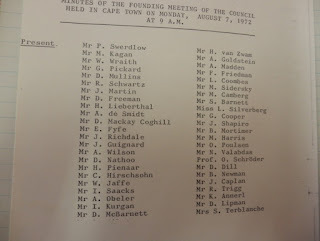 It replaced the S.A. Jewellers’ Association and included representation from wholesalers, retailers and manufacturers, along with additional representation from mining houses, the Indian Jewellers’ Association, the Diamond Club of South Africa, the Swiss Watch Federation, as well as the Diamond Cutters’ Association, with the University of Stellenbosch representing the education sector. A nine-member executive committee representing all interest groups in the jewellery trade was formed. Amongst its aims were the setting and maintaining of standards along with increased education and awareness, as well as liaison with the government and other stakeholders in the trade. It was constituted to be an umbrella organisation that included representation from the mining houses as well as the diamond-cutting and watch-making trade. A central goal of the Council was to set up a regulation board for its members and to arbitrate in cases of complaints from the public. This organisational development also prompted the government to take more notice of the Jewellery Council of South Africa as a formally constituted body that represents of the interests of the industry as a whole. During the early and mid-twentieth century the jewellery trade was subject to a fair number of regulations and government restrictions. Precious metal jewellery was regarded as a luxury commodity and was more strictly controlled than other manufacturing sectors. In the 1930s, imported jewellery items were also taxed by 30 per cent. Ironically, through their lack of interest in developing the local jewellery market, the government also deprived itself of a lucrative tax base. Manufacturers were only allowed to smelt up to two ounces of gold at a time, thereby limiting both production and the incentive to keep up with modernised production methods. Appeals from manufacturers to change the status quo continued to fall on deaf ears until well after the Second World War. When import/export controls were relaxed after the war, local jewellery manufacturers suddenly faced increased competition. Appeals for stimulating the local market by retaining import duties of 33⅓ per cent were ignored. It is during the late 1980s that the government showed its first serious intention to assist the development of the local jewellery sector. The manufacturing jewellery sector was declining rapidly, and for the first time the importance of the beneficiation of precious metals was recognised. Legislative reforms began to ensure easier access to gold, ad valorem tax of 35 per cent was abolished in 1990, and jewellers permits were for the first time granted to all races. However, it would take years to address the decades of stagnation and neglect of the jewellery sector because of excessive taxation and an unfavourable economic climate at the end of the century. At this time, South Africa was still only capturing 0,2 per cent of the world’s jewellery production. A law introduced in 1913, requiring goldsmiths to keep a detailed record of their acquisition and disposal of gold, was applied throughout the twentieth century. The ‘gold police’ paid unannounced auditing visits to businesses, and caused resentment amongst goldsmiths. It was well known that goldsmiths were regarded with suspicion by government, especially since an extensive trade in gold stolen from the mines became a chronic problem throughout most of the century. 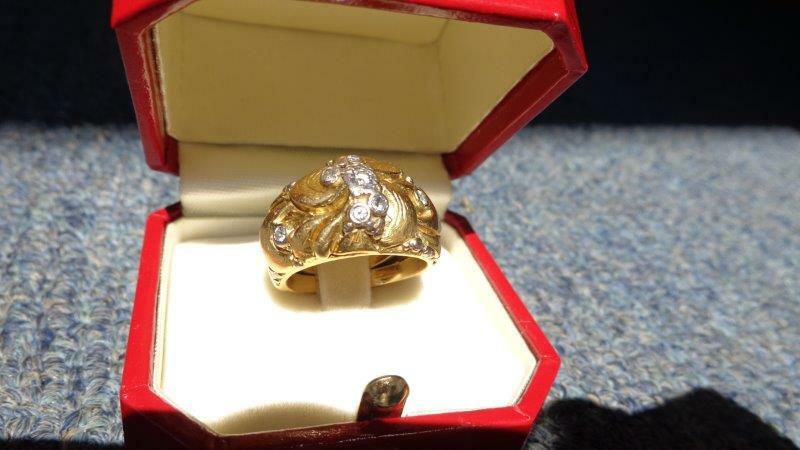 As early as in 1925 it was estimated that about £100 000 worth of gold jewellery was imported, whereas about £350 000 worth of illicit gold jewellery was made inside the country. Interestingly, only the beneficiation process of gold was regulated. Silver and platinum remained unregulated. A political factor that contributed to the definition of the South African precious metal beneficiation process during the twentieth century is that whereas white skilled workers from Europe were encouraged to immigrate, black South Africans were formally excluded from the trade as part of the country’s Job Reservations Act. Blacks were allowed to polish the precious metal objects but they were not allowed to design, make or set the jewellery items. Nevertheless, it appears that the Act was widely undermined and throughout the twentieth century blacks and coloureds were (for the most part clandestinely) trained in all facets of the creative and manufacturing process, even in designing. Some also worked on commission from their homes. Occasionally the inspectors issued transgressing workshops with fines and at other times the authorities were bribed. Along with a growing economy, the jewellery sector also expanded somewhat during the latter half of the century (albeit at a slower pace). The market increasingly required more skilled workers than what was supplied by whites only. By the early 1980s many jewellery manufacturing concerns were openly training and employing South Africans from all racial groups in the various phases of jewellery making. While open access to tertiary training institutions existed from the early 1990s, at the end of the century the first of a number of training institutions dedicated to the training of previously disadvantaged black people was established in Atteridgeville in Tshwane in 1998. It is a privately funded institution called Vukani Ubuntu Jewellery Design School and offers a three-year design and jewellery making course. The success of the school led to the opening of other training venues in Virginia, Barberton and Kimberley. Amongst the first Indians that came to South Africa were goldsmiths who kept the craft of making Indian culturally inspired jewellery alive. Their jewellery-making skills were passed on from generation to generation. Since the Indian community has a long tradition of gold- and silversmithing, they applied their artistry throughout their settlement in South Africa, despite being marginalised through restrictive labour laws. Whereas only white people were allowed to buy unwrought gold, the law was already relaxed in 1915 in the case of Indians residing in Natal. They could buy gold by means of a police permit. Indian goldsmiths were based mainly in Durban and Pietermaritzburg. In their designs, the emphasis was placed primarily on mythological Indian depictions. In the nineteenth century they imported gold jewellery from India, destined for Cape Town and Durban. This continued throughout the twentieth century, and sometimes dies were also imported from India. Apprenticeships were offered within the community. Indian goldsmiths worked mostly in 22 carat gold (as opposed to the more familiar 9 and 18 carat gold used in mainstream South African gold jewellery production). As was the case in Europe, apprentice jewellers had to complete a five-year training period with recognised master silver- and goldsmiths before they were accepted as master goldsmiths in their own right. In the mid-1970s, the first formal South African qualification specialising in the art of jewellery design and making was instituted at the Durban Technikon. In 1972 an Indian Jewellers’ Association was already well established and incorporated in the founding of the Jewellery Council of South Africa. At first it became one of the strongest affiliations with the Council, but barely a decade later, in 1985, the Natal Indian Goldsmiths Association ceased to exist – ostensibly because of an unfavourable financial climate coupled with a high gold price. Partly because of apartheid laws and an entrenched cultural expression, South African Indian jewellery design was inwardly focused for the most part of the twentieth century. The insularity of their designs was not impacted by design trends in the rest of the country or from the West. However, with apartheid waning in the late twentieth century, a new openness to outside jewellery trends became noticeable, and designs by South African Indian goldsmiths became more stylised and sculptural, expressing affinity with the dominant trend in the rest of the country. Early efforts at stimulating the local jewellery trade were initiated in the 1950s by a De Beers advertising campaign in marketing the combined investment and beauty value of diamonds. As part of their marketing drive, De Beers sponsored the first Diamond International Award design competition in 1953. This competition became a biennial event throughout the rest of the twentieth century and played a significant part in stimulating jewellery design both locally and internationally. This initiative was followed in the 1960s by government-sponsored arts and crafts exhibitions that included a collection of local jewellery makers’ work at Florence in Italy, as well as a few international group exhibitions in Washington and London. These exhibitions were held under the auspices of the government Departments of Foreign Affairs and Information. The sporadic nature of the exhibitions perhaps also reflects the lack of government commitment to develop the jewellery trade. In 1970, the South African mining fraternity initiated an annual Chamber of Mines Gold Jewellery Competition with Dieter Steglich, Erich Frey and Abe Pass winning first prizes in different categories of the competition. 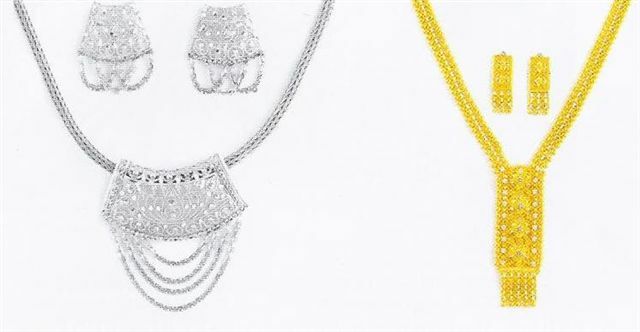 A total of 169 jewellery items were entered for the first competition, exhibited by the Chamber of Mines at the Rand Easter Show in Johannesburg. Successive national competitions held by the International Gold Corporation followed. 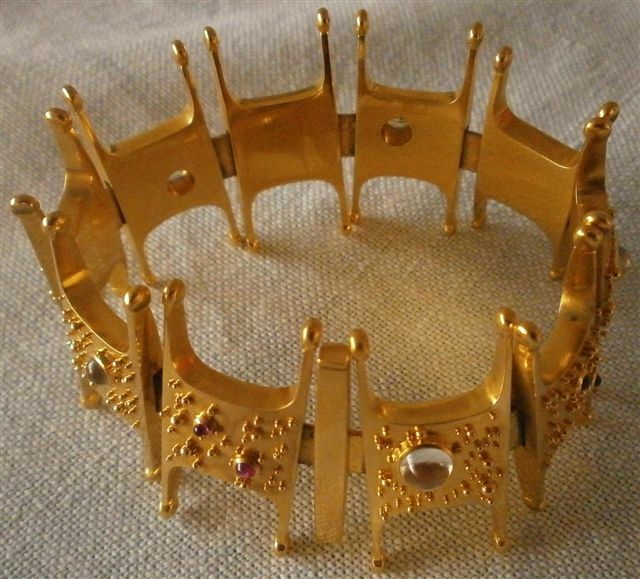 Figure 6: Dieter Steglich’s award-winning bracelet in the Chamber of Mines’ Gold Jewellery Competition in 1970. The bracelet featured five moonstones and 12 rubies in ‘lunar textured’ gold. In the late 1970s these competitions were diversified to include Intergold competitions along with the De Beers Diamond Today and the Diamonds Tomorrow Student Design competitions. The competitions appear to have been successful not only as marketing and educational tools, but they also launched or stimulated successful careers for almost all of the early award winners. In 1979 Intergold introduced the concept of pairing local couturiers and goldsmiths in a celebrated exhibition named Gold and Threads. Local fashion designers such as Errol Arendz, Marianne Fassler, Wynand Bezuidenhoudt, Lucy Renew and Suki Crawford’s designs were paired with the designs of local goldsmiths such as Kurt Donau, Ewald and Liz Kratz, Guy Traest, Hartmut Jäger and Jochen Kessel. The success of this concept led De Beers Intergold to produce televised fashion-jewellery shows in Basle, Milan, Rome and New York. In the following years two more fashion-jewellery twinning exhibitions were held. In addition, a collaborative marketing drive with an international fashion research house was launched in 1985 where the work of Guy Traest, Geophrey Foden, Ewald and Liz Kratz as well as Jochen Kessel were promoted as representative of contemporary international fashion styles of the time. An important interpretive dimension of jewellery making over the course of the twentieth century involved major changes and possibilities offered by technological advances, especially during the latter half of the century. The industry moved from mouth-blown soldering torches and hand engravings to computerised laser cutting, soldering and engraving within the course of four decades. Along with the dawn of the twenty-first century came technological advances in terms of computer software and laser technology where the design, die sinking, waxing, melting and soldering processes have been increasingly automated. This has brought new design opportunities but has also resulted in a loss of artisan skills. These technological advances also crept into the creation of individual items of jewellery or other precious metal objects. It may well be that the skills of future precious metal artists may increasingly reside only in creating the design and polishing a finished product. At present, handmade precious metal jewellery seems to be sustained mainly by commissions from clients - a shrinking niche market. The skills of die sinking and engraving by hand are likely to become increasingly rare and performed mainly by ‘hobbyists’. A similar fate appears to be awaiting the craft of traditional watchmaking. There’s no money in hand made dies anymore either. … they are taking away the art of sitting down at the workbench and creating an object of beauty with your hands. Maybe the whole trade will become virtual, and a goldsmith will be someone who files and polishes castings and does minor repairs. Lazer technology is one thing, it is a manufacturing process. Some of the worst designs I’ve ever encountered have been computer generated because it looks too clean. Jewellery was not meant to look like a 5-point piece of neatly cut steel. It needs nuances that require a high level of experience in operating the software programs of the lazer cutting machines. Mass-produced work tends to be flat in nuance. You can’t teach people design, it’s a gift – the present technology acts as a pave for those who are not great designers but good technologists – in this way mediocrity creeps into the industry. But the industry has a way of correcting itself. The best future scenario would again be a group effort where the electronic technologist plays an important part in the manufacturing process. I think that if people can learn to make jewellery that provides meaning to the wearer’s life (instead of monuments to the artist’s ego, in the case of competition jewellery, or repetitive, derivative bling in the case of the trade stuff) then there is some hope that people who have this sensitivity and skill will be needed. Historically, it appears that metal artists are facing a dilemma similar to the one that the artists from the Arts and Crafts movement faced in dealing with industrialisation. Only this time mass production is even easier, faster and less labour intensive. In this regard, it appears likely that the copyright issue may start playing a more important role in future in protecting designs. Whereas copyright infringements have occurred throughout the ages on the work of creative silver- and goldsmiths, the high profits from a globalised mass market may just force the industry and lawmakers to refine copyrights on the libraries of form, composition and ownership. Be that as it may, in the world of jewellery making, the root of artistic expression lies in its initial design. And even more so than in the world of sculpture or painting, the work of jewellery designers remains subject to be copied by others without much recourse. This dilemma has continued to frustrate local metal art designers throughout the twentieth century. 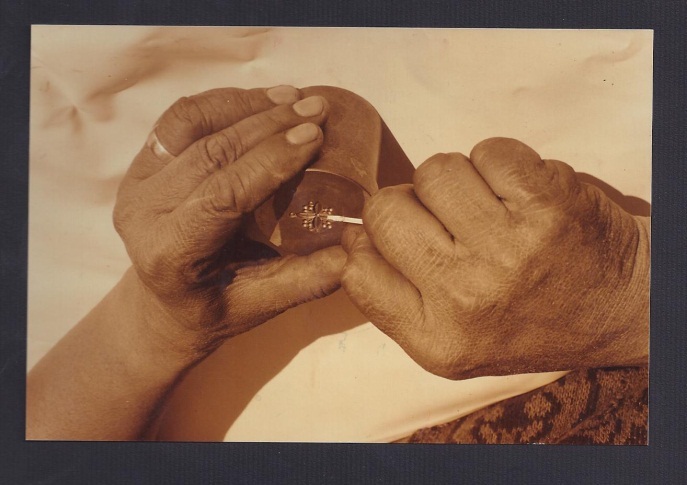 To some extent the outsourcing of jewellery components was originally introduced by the generation of manufacturing goldsmiths that established workshops in the 1940s and 1950s - for example, Joe Calafato only did the designing of his work - he had a small workshop of engravers, solderers, die sinkers, polishers and setters, but would often outsource some work to independent specialists. For the generations that followed from the 1960s onwards, it appears that co-operation between workshops diminished somewhat, giving way to a small number of mass manufacturers who created every component of their products, and a sizeable number of artist jewellers creating handmade one-of-a-kind pieces. As an industry we are still too fragmented, not co-operating – and that is why it hasn’t really grown. Some of the pieces tended to be rather derivative of European designs which to some extent is quite natural and which will tend to disappear with the increased competition between designers and manufacturers and a greater awareness of design by the public. Whereas globalisation and designs in international catalogues continue to have an influence on local precious metal artistry, this prediction appears to have been at least partly fulfilled. The search for indigenous South African rooted design inspirations was also strengthened by the isolation that was forced onto local jewellery designers as a result of apartheid-related sanctions during the latter half of the twentieth century. Proponents of South African inspired jewellery design aesthetics were noticeable for the most part of the twentieth century. 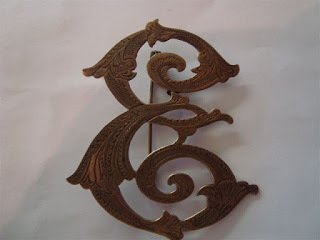 This identity, developed from the singular use of copper and precious metals during the first part of the twentieth century, gave way in the mid-twentieth century to combining diverse materials such as ivory, wood, bone and even animal hair with semi-/precious stones and often a mixing of metals. Thematically, the early naturalist expressions of African animal, plant, cultural and mineral bounty were either reformulated during the latter half of the twentieth century into flowing abstract sculptural lines or expressed in hyper realistic form. Perhaps it is fitting that one of the first generation of full-time female goldsmiths in South Africa was also responsible for initiating a South African inspired jewellery design that grew organically from her perceptive engagement with her adopted fatherland. Like Walter Batiss a few years before her, Else Wongtschowski also celebrated Bushmen rock art in her work. What is more, already in the early 1950s, she was one of the first of her generation who appreciated the wealth of design possibilities locked up in the use of the abundance of Southern African semi-precious stones. These two design components became a fundamental matrix from which a South African styled jewellery domain would slowly emerge. This set the tone for the development of a South African design theme that was later to become known as safari jewellery. At around the same time during the mid-twentieth century, the workshops of Haglund in Johannesburg and Joe Calafato in Pretoria also took up the challenge to produce African inspired jewellery ranges and flatware that contributed greatly to the development of an artistic appreciation of the indigenous African world in which they were operating. From the mid 1950s, like Else Wongtschowski a few years before them, Haglund Jewellers in Johannesburg began to create jewellery designs with themes depicting traditional African cultural life and wildlife images. The nephew goldsmiths Hans Blum and Rolf Waizenegger were the owners and they also gained inspiration from Bushmen rock art for some of their souvenir jewellery designs. But they went further and extended their collection by adding cultural images, such as head dresses, village life and animal studies to their design portfolio. The anthropological tones inherent in their work have contributed to its collector’s value. Geophrey Foden joined the business in the 1970s and contributed to a refinement of the early Haglund work to reflect the tastes of the time. They continued to incorporate Bushmen art in their jewellery designs, along with the setting of locally available semi-precious stones. Throughout the latter half of the twentieth century the workshop created reinterpretations of African wildlife expressions, culminating in combining hues of gold, black and silver (incorporating pearls, diamonds or ivory) with mixtures of matt and gloss finishes. Another manufacturing workshop that helped pioneer the indigenisation of jewellery design was owned and managed by Joe Calafato. In 1947 he resigned from his job as designer jeweller at the South African Mint and opened a jewellery workshop in the Pretoria city centre. From that time onwards until the end of his career in 1984, a timeline can be captured in his design development. It is expressed in terms of a fading European influence mingling with a strengthening African influence both in terms of inspiration and form. A clear migration took place from his original retro moderne scroll abstractions to ‘organic realism’ in expressing plant, animal and human form, culminating in an almost exclusive emphasis on African landscape, animal and village life. At the end of his career, his work matured into extensively espousing images of the African continent. The work of Eone de Wet (active from 1956-2011) also included African cultural icons such as masks and weaving patterns. In the mid1950s, the creations of Gilroy and Jo King along with Erich Frey promoted the assimilation of Southern African semi-precious stones in their designs. In the late 1960s Maia Holm made use of beading with reference to the Ndebele custom in her exhibition jewellery that toured the country as part of a national exhibition on the work of women in the South African arts and crafts. 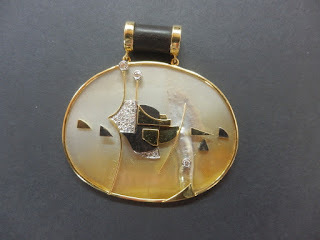 In the mid-1970s Erich Frey proclaimed that successful jewellery design remains intimately connected with the country in which it was made, be it the Scandinavian countries, or Germany or South Africa. This sentiment was underscored by European critics who described Frey’s work as having …a definite African flavour. And in 1985 Stephen Colegate commented that a distinct South African definition of jewellery design (as espoused by the work of Frey and others) had become a reality. 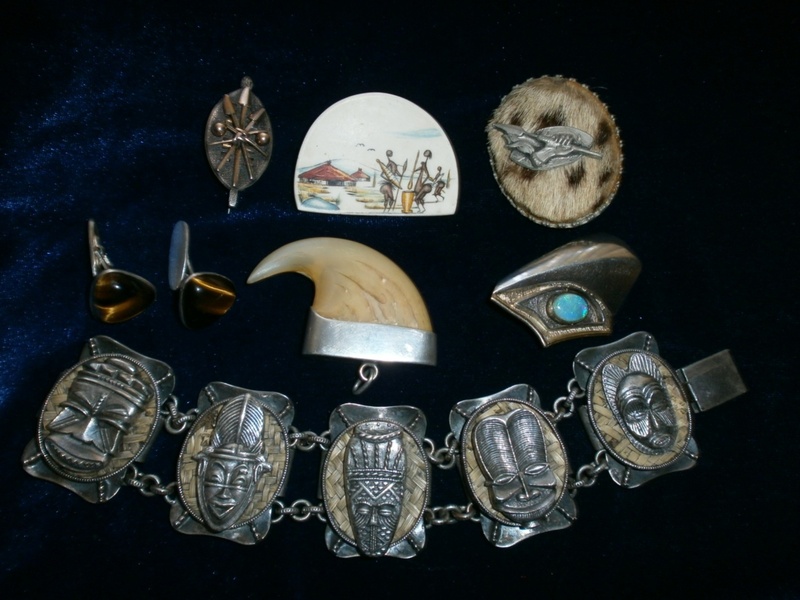 The above jewellery designers were early explorers of African inspired work in the world of precious metal artistry. Thematically, their naturalist expressions of our indigenous South African bounty have laid the foundation for the development of a South African design style that continues to be built upon and reformulated up to the present. Also, from the singular use of precious metals and stones in the early days, the use of mediums diversified during the mid-twentieth century to any combination of varied indigenous materials such as ivory, wood, bone and even animal hair paired with semi-/precious stones and often, a mix of metals. With the democratisation of South Africa, the beginning of the last decade of the twentieth century brought considerable hope and opened new vistas for self-expression and diversification, also in the world of precious metal artistry. At the end of the twentieth century, workshops and studios have mushroomed to large numbers throughout the country. In 1973 the jewellery manufacturing trade consisted of about 400 practising jewellers (of whom only 12 were women), along with 50. According to a study by De Beers in 1997, the South African jewellery industry was estimated at R3 billion with a breakdown of R1.3 billion invested in the local diamond jewellery sector, and the local gold jewellery sector accounting for approximately R1 billion. The remaining R800 000 was captured by the watch sector. In 2003 the manufacturing trade showed phenomenal growth by having established approximately 350 manufacturing concerns (ranging between mostly small studios and a few large workshops) countrywide. This is also the fruit of 6 tertiary jewellery design programmes in the country. 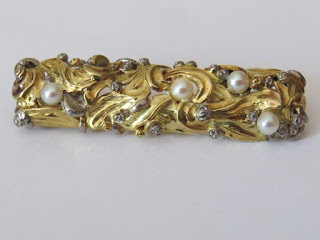 At the end of the century, the gold- and silversmith society has changed from a primarily immigrant and male population to incorporating an Afrikaans presence to finally including a more culturally diverse base (recognising the culture of jewellery making that has long ago been imported from India and Batavia, as well as its African promise with well-espoused roots in Southern Zimbabwe, Mapungubwe and on South Africa’s coastlines) along with a much stronger female presence than ever before. www.goldinsouthafrica.com, Virtual Metals Research and Consulting Ltd, Chapter 4, January 2006, p. 77. Access to the subject catalogue of precious metal acquisitions housed at the Ditsong National Museum of Cultural History in Pretoria was granted in July 2013. Also, Author unknown, Silwersmede aan die Kaap, Lantern, June 1967, p. 47, and Historikus, Silwer uit die tyd van die V.O.C., Lantern, June 1967, pp. 44-47. J Ambrose Brown, South African Art, Macdonald South Africa, Cape Town, 1978, p. 50. 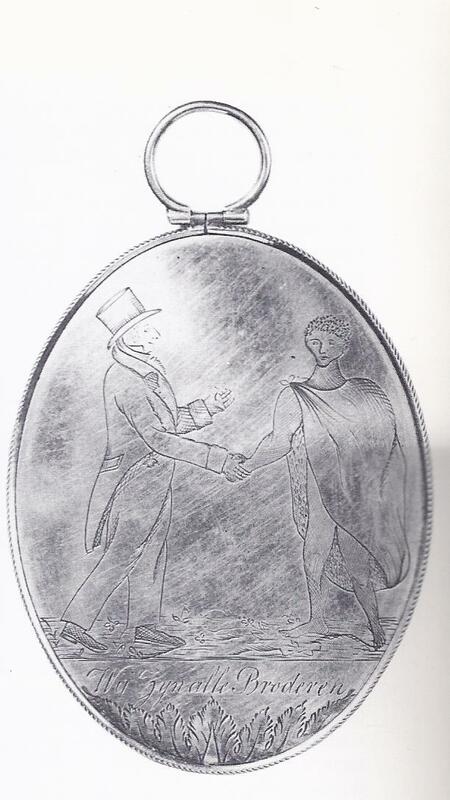 F. van Staden, Erich Frey and Associates: A bold contribution to South African silver- and goldsmith design, South African Journal of Cultural History, June 2011, 25(1), pp. 148-179. F. van Staden, Legacies of immigrant gold- and silversmiths during early and mid-twentieth century South Africa, South African Journal of Cultural History, June 2013, 27(1), pp. 139-163. Interview: Mr G. Foden, goldsmith and co-owner of Haglund Jewellers and later owner of Foden Manufacturing (Pty) Ltd. Johannesburg, 28 October 2009. 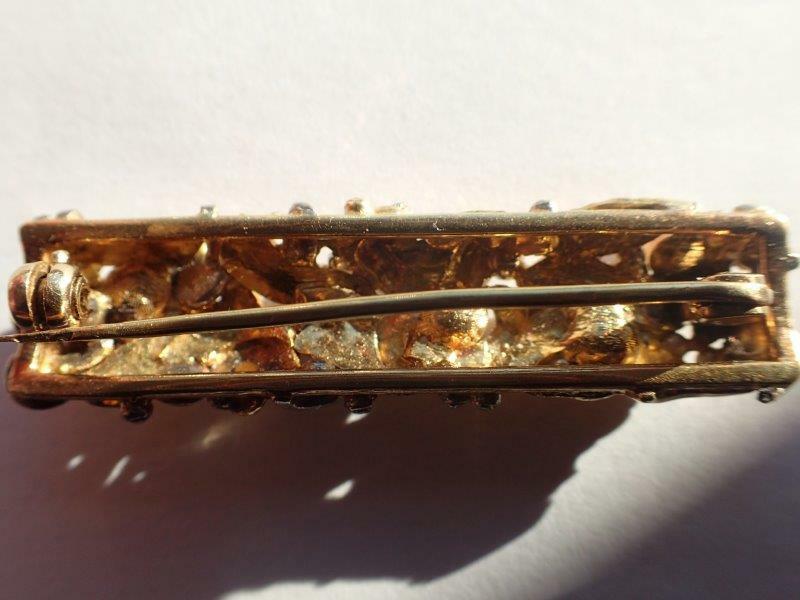 Joe Calafato: A late twentieth century South African precious metal artist, 24(1), pp. 126-149. Erich Frey and Associates: A bold contribution to South African silver- and goldsmith design, June 2011, 25(1), pp. 148-179. Early and mid twentieth century South Africa: Legacies of local gold- and silversmiths, June 2013, 27(1), pp. 139-163. Rooted in the 1950s: An overview of noted gold- and silversmiths in South Africa, to be published in June 2014, 28(1). South African precious metal design between 1960 and 1980, submitted for review, March 2014. Reviewers were Messrs. Vic Thompson and Charles Kgosana (engravers, Pretoria), D. Schilofsky (jeweller, gemmologist, Pretoria) and F. Haenggi (art dealer, Basel, Switzerland). M. do Rosário Pinto Pereira da Silva, From Dynamism to Dormancy: The Jewellery Industry in Johannesburg: 1925-2003, unpublished DPhil thesis, University of the Witwatersrand, Johannesburg, 2007, pp. 185, 224-225. Unknown photographer, Photo with legend marking Haglund’s 30th anniversary, Diamond News and S.A. Jeweller, May 1982, p. 23. Interview: Mr G. Foden, goldsmith, Johannesburg, 2009-10-28. Foden Jewellery Manufacturer, http//:www.fodenman.com/history.html, 2009-02-06. Interview: Mr G. Xanthides, Pretoria, 2009-10-21. Author unknown, Riches of Africa More than 100 enter Gold Jewellery Design Competition, AngolGold Ashanti, http:www.anglogoldashanti.co.za/Additional/Press/AngloGold/1998/10+Dec+1998, 2009-09-27. Interview: Mr V. Thompson, engraver, Pretoria, 2009-09-30. Mr M Cohen, The South African Jeweller’s Association Ltd, The Diamond News and the S.A. Watchmaker and Jeweller, September 1950, p. 42. Mr JB Pinn, Past year most beneficial to the jewellery trade: Activities of Western Province Branch of Association reviewed by chairman, The Diamond News and the S.A. Watchmaker and Jeweller, April 1955, p. 57. Interview: Mr Lourens Maré, CEO, Jewellery Council of South Africa, Parktown, Johannesburg, 2012-04-10. Author unknown, Manufacturing Jewellers’ Industrial Council: Success of Johannesburg experiment, The Diamond News and the S.A. Watchmaker and Jeweller, January 1949, p. 17. L. Dellatola, Jewellery Council, South African Panorama, December 1973, p. 2. Also, F. van Staden, Joe Calafato: A late twentieth century South African precious metal artist, S.A. Journal of Cultural History, 24(1), June 2010, p. 148. M. do Rosário Pinto Pereira da Silva, From Dynamism to Dormancy: The Jewellery Industry in Johannesburg: 1925-2003, unpublished DPhil thesis, University of the Witwatersrand, Johannesburg, 2007. Author unknown, Relaxation of import control measures on jewellery lines, Diamond News and the S.A. Watchmaker and Jeweller, November 1954, p. 57. Author unknown, 200 trained jewellers unemployed, The S.A. Jeweller and the Diamond News, August 1957, p. 7. Also, according to a number of interviewees, on the open market in the 1950s to the 1960s, gold could not be exported in its ‘raw’ form as ingots. It had to be transformed into a value-added product. Thus it happened that mostly on commission, some gold- and silversmiths cast objects such as weighty ashtrays in 24 carat gold for export. Author unknown, Jewellers’Association protests against ‘unfair activities’ of S.A. Mint, The Diamond News and the S.A. Watchmaker and Jeweller, pp. 66-67, April 1956. Editorial, New year – new direction, The Diamond News and the S.A. Watchmaker and Jeweller, January 1958, p. 3. Also, author unknown, Union’s trade with the non-whites: Big new customer slowly emerging, The Diamond News and the S.A. Watchmaker and Jeweller, August 1959, p. 21. The Transvaal Jewellery Manufacturers’ Association renamed itself in the late 1980s as the South African Jewellery Manufacturers’ Association. Alice Weil, Government recognises Jewellery Council, The Diamond News and S.A. Jeweller, April 1987, p. 3. L. Dellatola, Jewellery Council, South African Panorama, 18(12), 1973, pp. 3 & 4. Author unknown, Dr Diederichs praises role of the Jewellery Council, The S.A. Jeweller and the Diamond News, April 1973, p. 34. Editorial, Twenty successful years, The S.A. Jeweller and the Diamond News, November 1961, p. 5. Also, M. do Rosário Pinto Pereira da Silva, From Dynamism to Dormancy: The Jewellery Industry in Johannesburg: 1925-2003, unpublished DPhil thesis, University of the Witwatersrand, Johannesburg, 2007, pp. 159-162. Interview: Mr D. Schilofsky, manufacturing jeweller and gemmologist, Lynnwood, Pretoria, 2009-09-30. Alice Weil, Government recognises Jewellery Council, The Diamond News and S.A. Jeweller, April 1987, p. 3. M. do Rosário Pinto Pereira da Silva, From Dynamism to Dormancy: The Jewellery Industry in Johannesburg: 1925-2003, unpublished DPhil thesis, University of the Witwatersrand, Johannesburg, 2007, pp. 235-237 & 245. M. do Rosário Pinto Pereira da Silva, From Dynamism to Dormancy: The Jewellery Industry in Johannesburg: 1925-2003, unpublished DPhil thesis, University of the Witwatersrand, Johannesburg, 2007, pp. 140-143. Locally made jewellery gold was recognisable as mostly consisting of sub-standard quality and was sold much cheaper than imported jewellery. The caratage of illicit pieces could not be controlled since no hallmarking system existed. L. Dellatola, Jewellery Council, South African Panorama, 18(12), 1973, p. 2. Interview: Mr V. Thompson, engraver, Pretoria, 2009-09-30. Interview: Mr A. Pass, Goldsmith, Cape Town, 2009-09-15. Interview: Mr Charles Kgosana, engraver, Pretoria, 2009-09-30. Interview: Mr D. Schilofsky, manufacturing jeweller and gemmologist, Lynnwood, Pretoria, 2009-09-30. Interview: Mr G. Xanthides, owner of George Xanthides Jewellers, Pretoria, 2009-10-21. Interview: Mr G. Foden, goldsmith and owner of Foden Manufacturing, Johannesburg, 2009-10-28. M. do Rosário Pinto Pereira da Silva, From Dynamism to Dormancy: The Jewellery Industry in Johannesburg: 1925-2003, unpublished DPhil thesis, University of the Witwatersrand, Johannesburg, 2007, pp. 132-134. P. Holz, Goudsmede van Durban, Suid-AfrikaansePanorama, July 1969, pp. 28-29. Telephonic interview: Mr J. Louw, designer co-owner of Uwe Koetter, Cape Town, 2009-10-05. ‘Dies’ are hardened molds carved by die sinkers and used to shape metal objects through a’press’ method. P. Holz, Goudsmede van Durban, Suid-Afrikaanse Panorama, July 1969, pp. 28-29. M. do Rosário Pinto Pereira da Silva, From Dynamism to Dormancy: The Jewellery Industry in Johannesburg: 1925-2003, unpublished DPhil thesis, University of the Witwatersrand, Johannesburg, 2007, p. 131. L. Dellatola, Jewellery Council, South African Panorama, 18(12), 1973, p. 3. M. do Rosário Pinto Pereira da Silva, From Dynamism to Dormancy: The Jewellery Industry in Johannesburg: 1925-2003, unpublished DPhil thesis, University of the Witwatersrand, Johannesburg, 2007, pp. 222-223. H. van Rensburg, Juwelierskuns, Suid-Afrikaanse Panorama, November 1985, pp. 18-19. P. Prins, Gems and Jewellery: The South African Handbook, Isikhova Publishing, 2009. The last competition was held in 2000. J. Basson, Bidding for gold, To the Point, 17 May 1974, p. 39. Author unknown, High standards at gold jewellery competition, The S.A. Jeweller and the Diamond News, April 1973, pp. 30, 31 & 33. Author unknown, Goue sierade, Panorama, June 1970, p. 25. Also, J. Ambrose Brown, South African Art, Macdonald South Africa, Cape Town, 1978, p. 50. J. Ambrose Brown, South African Art, Macdonald South Africa, Cape Town, 1978, p. 50. C. Hacker, Students present fresh ideas in De Beers jewellery contest, The S.A. Jeweller and Diamond News, January 1983, p. 2. A. Weil, Gold gleanings, Diamond News and S.A. Jeweller, January 1980, pp. 10, 11 & 13. Also, L. Delatolla, Gold & fashion, South African Panorama, March 1980, pp. 40 & 41. E-mail, H. Jäger – F. van Staden, Ilse, Hartmut and the SA Goldsmiths Guild, 13 December 2012. Mirella Neri, Beyond our wildest dreams, The Intergold Quarterly News, Newsletter clipping without edition and page number. Author unknown, Gold in fashion, Diamond News and S.A. Jeweller, March 1983, pp. 29-31. Also, author unknown, Goud in die mode, Suid-Afrikaanse Panorama, Julie 1983, pp. 48-50. Author unknown, Capturing jewellery fashions for 1985, Diamond News and S.A. Jeweller, March 1984, pp. 23-25. Interview: Mr H.F. Gatticchi, silver- and goldsmith, Pretoria, 2009-09-12. Interview: Mr V. Thompson, engraver, Pretoria, 2009-09-30. Also, interview: Mr A. Pass, Goldsmith, Cape Town, 2009-10-30. E-mail: Mike Cope, Re: Michael Cope, Designer and Goldsmith history, 2009-10-09. Interview: Mr G. Xanthides, Pretoria, 2009-10-21. Interview: Mr & Mrs Coetzee, Erich Frey Jewellers, Montana, Pretoria, 2009-09-18. Interview: Mr M. Xanthides, Pretoria, 2009-10-21. E-mail correspondence, M. Cope – F. van Staden, FW: The future of metal artists, 2009-09-10. Interview: Mr D. Schilofsky, manufacturing jeweller and gemmologist, Lynnwood, Pretoria, 2009-09-30. E-mail Mr G. Foden – F. van Staden, Jewellery, 29 October 2009. Also, see footnote 7. F. van Staden, Joe Calafato: A late twentieth century South African precious metal artist, South African Journal of Cultural History, 24(1), June 2010, pp. 126-150. Interview: Mr G. Foden, Johannesburg, 2009-10-28. Author unknown, High standards at gold jewellery competition, The S.A. Jeweller and the Diamond News, April 1973, p. 31. E. Kruger, Talent wat skitter. Suid-Afrikaanse Panorama, November/Desember 1990, pp. 34-37. A. van Wyk, Juwele met 'n identiteit, Suid-Afrikaanse Panorama, Maart 1989, pp. 16-19. Author unknown, Else Wongtschowski, The S.A. Jeweller and the Diamond News, September 1957, p.13. Also, F. van Staden, Early indigenous South African jewellery designs, SA Jewellery News, August 2012, pp. 33-34. Author unknown, Two young craftsmen and their work. The S.A. Jeweller and Diamond News, July 1957, pp. 6-7. 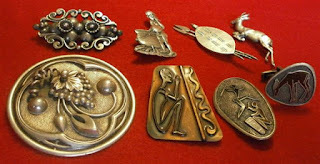 F. van Staden, Joe Calafato: A late twentieth century South African precious metal artist, South African Journal of Cultural History, 24(1), June 2010, pp. 126-149. F. van Staden, An overview of noted gold- and silversmiths in South Africa in the 1950s, in print, 28(1), 2013. J. Espach, Uit die rykdom van ons veld, South African Panorama, July 1957. F. van Staden, Erich Frey and Associates: A bold contribution to South African silver- and goldsmith design, South African Journal of Cultural History, June 2011, 25(1), pp. 148-179. E. Smit, Erich Frey 25 years (Pretoria Art Museum, 31 July – 18 August 1985), p. 1. E. Smit, Erich Frey 25 years (Pretoria Art Museum, 31 July – 18 August 1985), p. 9. A. van Wyk, Juwele met 'n identiteit, Suid-Afrikaanse Panorama, Maart 1989, pp. 16-19. Also, F. van Staden, Early indigenous South African jewellery designs, SA Jewellery News, August 2012, pp. 33-34. M. do Rosário Pinto Pereira da Silva, From Dynamism to Dormancy: The Jewellery Industry in Johannesburg: 1925-2003, unpublished DPhil thesis, University of the Witwatersrand, Johannesburg, 2007, pp. 127-128. 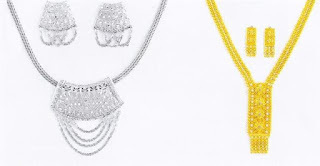 Also, An MBendi Profile: South Africa – Manufacturing jewellery, http://www.mbendi.com/indy/mnfc/jewl/af/sa/p0005.htm, 2009-04-14. Author unknown, Rhodesia’s ancient goldsmiths, The Diamond News and the S.A.Watchmaker and Jeweller, December 1942, pp. 37-38. Also, G. Dry, Plek van jakkalse en goud, Suid-Afrikaanse Panorama, Maart 1984, pp. 32-34, N. Vilakazi, What’s buried in the hills, Sunday Times Travel, 2010-07-04, p. 16. Author unknown, Footprints on the sand: Human history on the coast. www.sacoast.ioisa.org.za/docs/media/poster%20Footprints.pdf, 2012-09-04.
 www.goldinsouthafrica.com, Virtual Metals Research and Consulting Ltd, Chapter 4, January 2006, pp. 76-78. Also, interview: Mr V. Thompson, engraver, Pretoria, 2009-09-30.